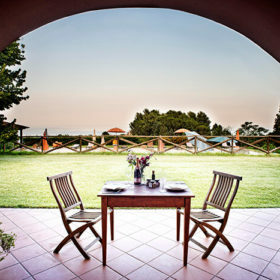 Pack your bag and water bowl, it's time to go where the wine is delicious and your pooch is more than welcome. There are only a few ways to top a wine-tasting trek. One of them is to bring your best friend along. 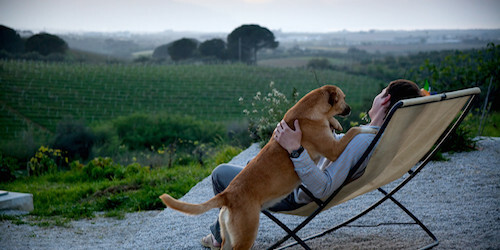 Pack your bag and water bowl, it’s time to go where the wine is delicious and your dog is more than welcome. While you and your best friend can visit year-round, in 2015 the winery is hosting its inaugural wine, food-and-Fido extravaganza called “AVV Going to the Dogs,” which will benefit Sonoma County Animal Care and Control. Each dog may bring up to four humans. Within seconds of stepping into the winery, you’ll understand the source of its name. That’s because owner Jean-Charles Boisset’s French bulldog “Frenchie” can be seen everywhere—from the art on the walls to the labels on the bottles. In bold, baroque-style oil paintings, the pooch is portrayed as Louis XIV, Betsy Ross and Ben Franklin. Dogs are encouraged to romp outside, or curl up on the dog beds made from wine barrels. This winery’s motto is “Bark Less, Wag More!” and provides toys and healthy treats to all the tail-waggers. On the second Friday of every month, it hosts Yappy Hour, a wine-and-food fête whose proceeds go to several local animal charities. This family-owned, certified organic, dog-friendly winery hosts an Earth Day dog hike and picnic (April 25). 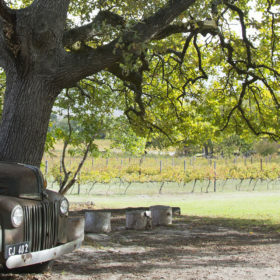 It begins with a four-mile trek among the rolling hills of the 600-acre Saracina Ranch, and ends with a casual wine country picnic lunch and tasting with owner John Fetzer. “We’ve always been dog-friendly, with water bowl set up outside, treats and friendly winery dogs to play with,” says Jason Haas, the winery’s general manager. Sit on the shaded patio where you and Rover can relax over lunch. A 19th-century barn serves as both tasting room and café for this Finger Lakes gem, where guests are greeted by Max and Rubie, a pair of chocolate labs. The winery sponsors several festivals and has an ongoing concert series. Ankeny’s open-door dog policy is almost as famous as its award-winning Pinot Noir. 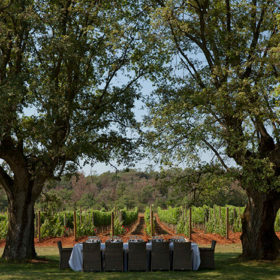 Sip some of the best Willamette Valley wine and take in the views of the valley while your dog roams free. The initials (BOW) are the first clue that this a dog-loving bunch. On weekends, the winery’s sprawling grounds are bustling with picnickers, so leashes are strongly advised for those dogs with a penchant for wandering off. This winery has a summer tasting room a short distance from Snoqualmie Falls. There are four acres of gardens and a small vineyard on the property, where dogs are welcome to run free.